Former city glamour gal, Priscilla Ray is surely leaving a posh and expensive lifestyle and at this rate, the likes of Zari might have to step aside. A few days back, Judith Heard (JH) was celebrating her 27th birthday forcing some to say that she had lied about her age like so many women do anyway. The model who drives a BMW Z3 Roadster dashed to her wall to hit at those who think every one lies about their age. "I wonder why most Ugandans assume everyone is lying about their age! Just because it took you 50 years to get where you are doesn't mean it should be the standard for everyone else. Why is it too hard to accept that a twenty something year old has managed to achieve what took you 40 years?! Sour grapes." Judith Heard and Ray are best of pals and it's not surprising to see that she was quick to come to JH's rescue. We all remember the Chameleone Phone Catfight between Judith Heard and Zari, Priscilla Ray tried to intervene but Zari did not have any kind words for her now well knowing that she had tried to ride with her hubby Ivan Ssemwanga, but things didn't last between them. For the record, this was the sole reason Zari Attacked Priscilla Ray. 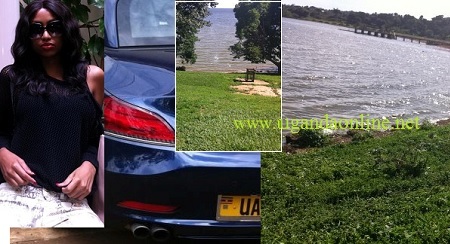 The ex-model who holds a Masters Degree in International Business and Management from the University of Westminster-UK has now added a waterfront property in Entebbe and her haterz had better fasten their belts because she is more than determined to run over them. She confirmed on her wall that: "It's always been my dream to own a water front property and today(Saturday) I have realised it! I own a beach yayyyy! So happy! Looking forward to the BBQs and meditations:).